The Irish Revolution-the war between the British authorities and the newly formed IRA-was the first successful revolt anywhere against the British Empire. This is a vividly written, compelling narrative placing events in Ireland in the wider context of a world in turmoil after the ending of a global war; one that saw the collapse of empires, and the rise of fascist Italy and communist Russia. Walsh shows how developments in Europe and America had a profound effect on Ireland, influencing the attitudes and expectations of combatants and civilians. 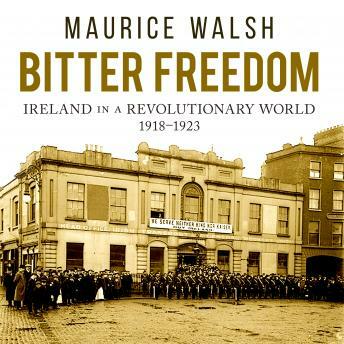 Walsh also brings to life what Irish people who were not fully involved in the fighting were doing - the plays they went to, the exciting films they watched in the new cinemas, the books they read, and the work they did. The freedom from Britain that most of them wanted was, when it came, a bitter disappointment to a generation aware of the promise of modernity.